Have you started your Christmas baking? Come by Streets Alive Mission to pick up bags to fill with 🎁”Streets Treats”🎁 – a few home-baked goodies of your choice. Then bring the bags back and we’ll share them with our clients during Christmas Week! If we get enough, we’ll even be able to send a bag home with people after Christmas Dinner. A little bag of goodies can go a long way in sharing the spirit of Christmas with those who might not otherwise have any reason to celebrate – the homeless, impoverished, and disenfranchised people of Lethbridge. Bags can be picked up and dropped of during our office hours: Monday-Friday 9:30am to Noon, and 1pm to 4:30pm. The office is located at 323 – 4th St South, Lethbridge. 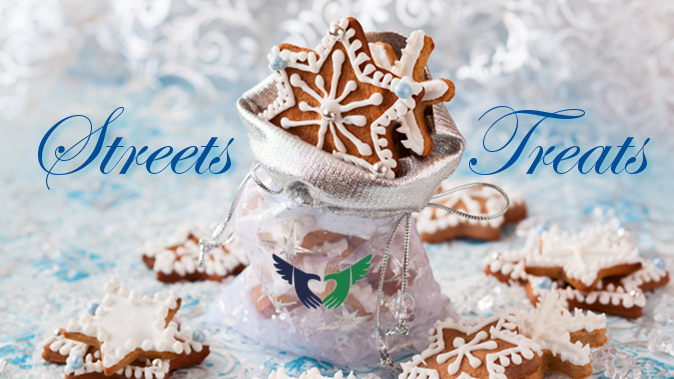 Sharing the spirit of Christmas – one bag of Streets Treats at a time!